Many of the large industrial companies have notified that they require an Occupational safety card from all of their employees and subcontractors. In practise it is a compulsory training. Occupational safety card training is designed for industrial suppliers and builders and personnel in shared work places. Occupational safety card training is also known as the “green card training”. Occupational safety card indicates that the card holder has been educated on occupational safety matters by completing Occupational safety card training. Card training creates a solid, unified basis for task specific and site specific induction. 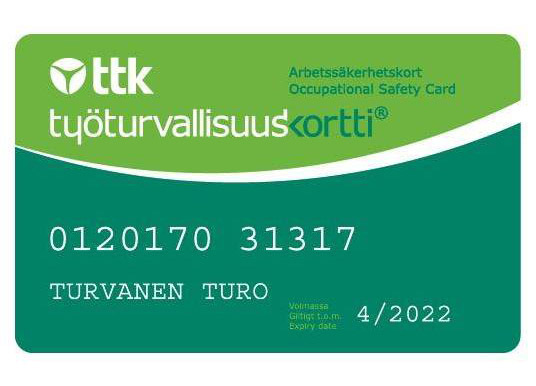 Occupational safety card is valid for 5 years and also acknowledged in Sweden. In case you need specifically the Swedish Entre SSG card we can also help to administrate a course for you! 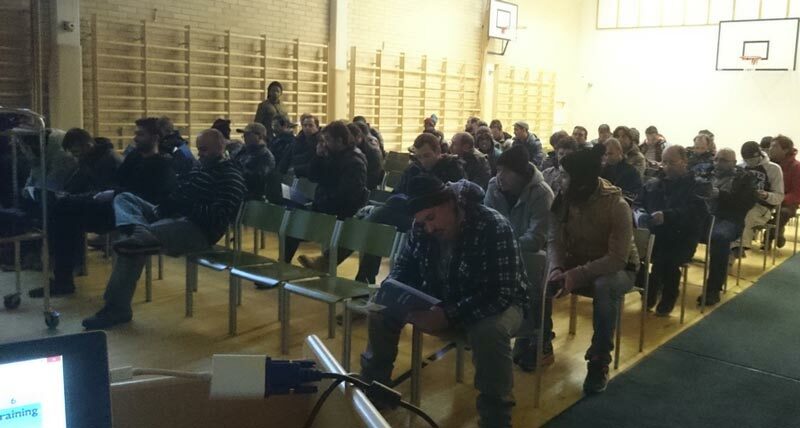 Trainings can be organised for companies according to client needs in their own/rental premises/TVA Consulting meeting rooms (Masku&Parainen) Training can also done outside of Finland. Over 800 Occupational safety card trainings, we know our trade!